have you ever wondered what it’s like inside a helicopter? 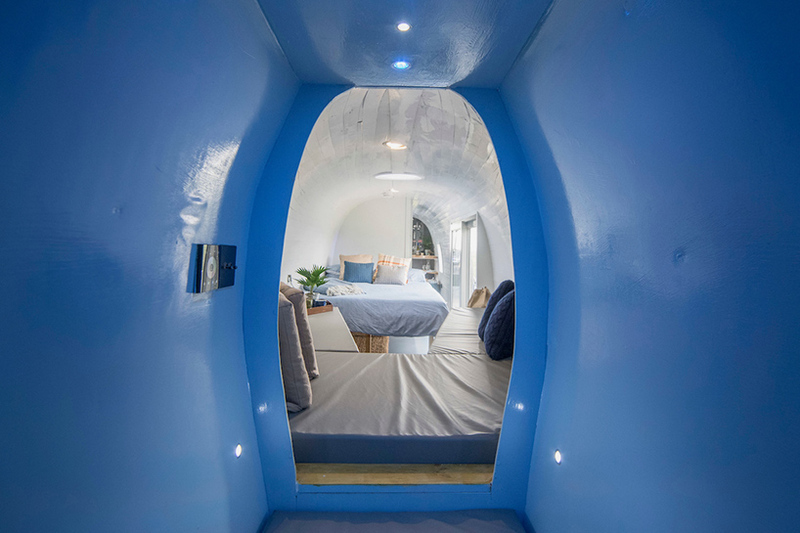 how about sleeping in one? 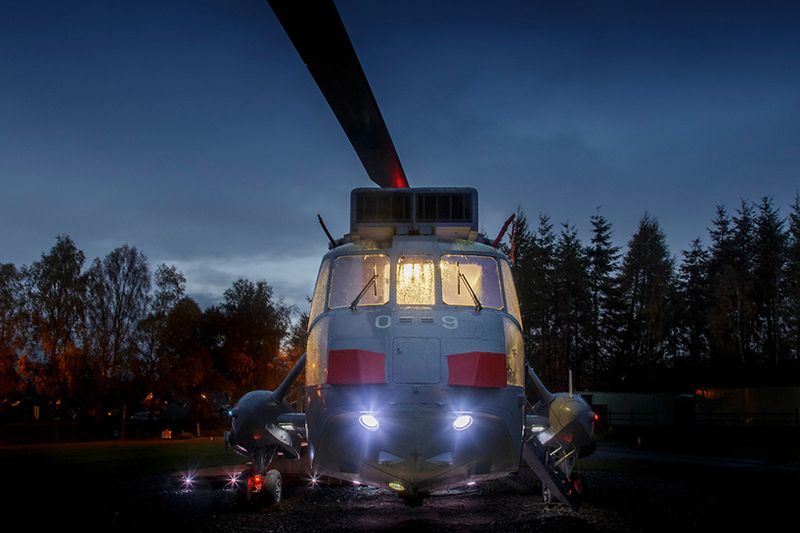 this decommissioned sea king helicopter has taken on a new life as a hotel, providing guests with luxury accommodation inside the aircraft. 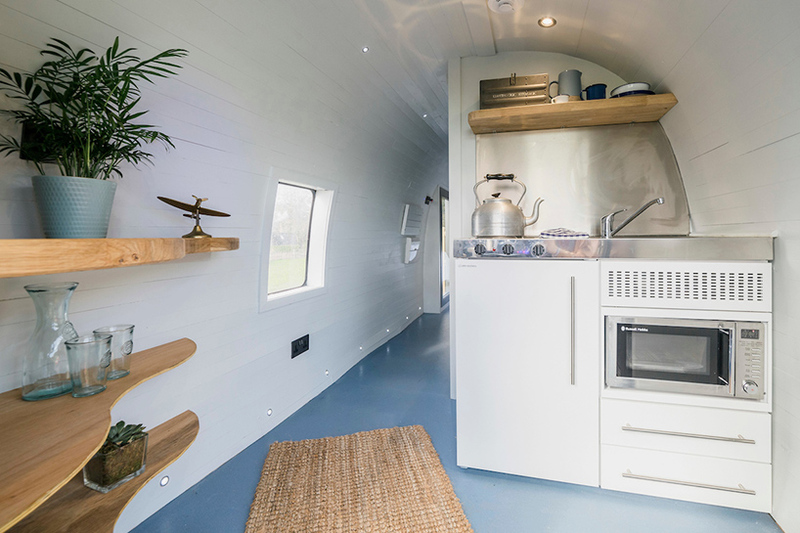 within the chopper, a mini kitchen, shower room, and bed in the tail offer comfortable and homelike living, while an intimate cockpit seating area boasts panoramic views over the landscape of stirling, scotland. the team at helicopter glamping started the project by purchasing the decommissioned sea king in an online auction, the transporting it 320 miles by road, before finally craning it into position at the picturesque thornhill campsite. signage, lighting, and paintwork were all restored to original condition. 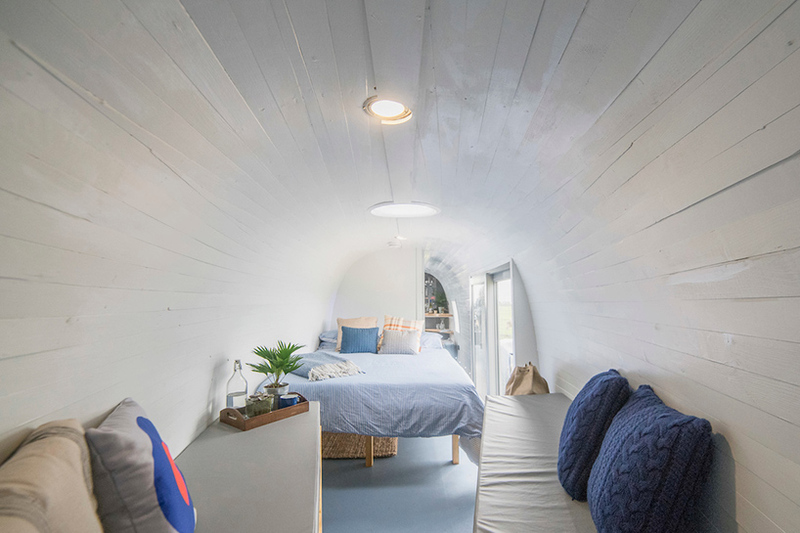 the interior was transformed into a spacious setting that can sleep up to a family of five, hosting a double, triple, and single bed in the tail. 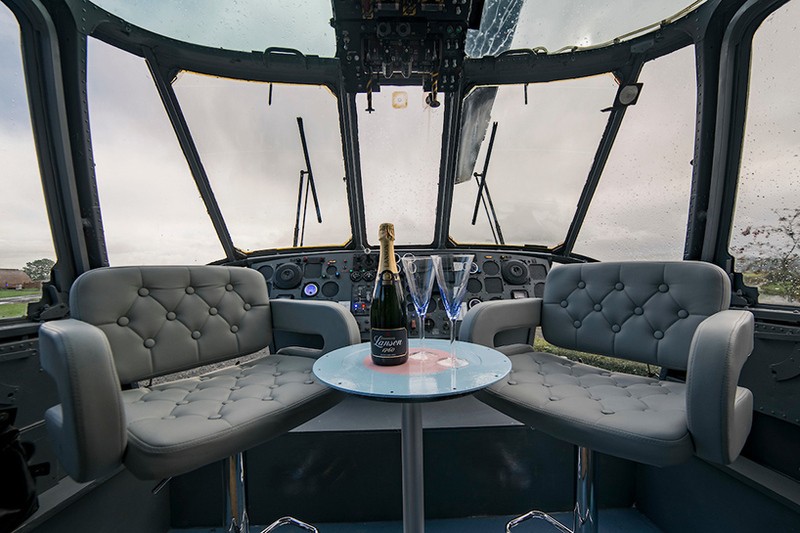 a sun dome and doubled glazed patio doors added to the side of the helicopter let in natural light and lead to a decked area where guests can enjoy views of the hills. inside the cockpit, the flight deck has been refitted with swivel seats and a table made from an old fuel tank cover, allowing visitors to experience the helicopter in its original glory.